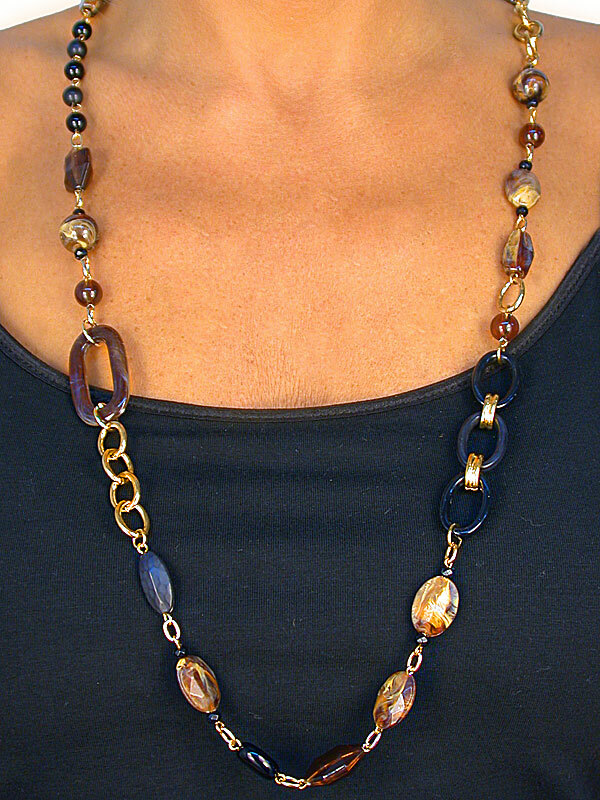 This Polished Gold Finish Chain Is Decorated With Brown Swirl Beads, Glossy Black Beads, & Open Oval Links. Necklace Includes Matching Earrings. 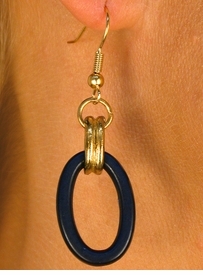 Earrings Measure 2 1/8"L x 5/8"W.
Scroll Down For View Of Matching Earrings.